What medications are used to treat arrhythmias? What is an implantable cardioverter-defibrillator (ICD)? An irregular heartbeat is an arrhythmia (also called dysrhythmia). Heart rates can also be irregular. A normal heart rate is 50 to 100 beats per minute. Arrhythmias and abnormal heart rates don't necessarily occur together. Arrhythmias can occur with a normal heart rate, or with heart rates that are slow (called bradyarrhythmias -- less than 50 beats per minute). Arrhythmias can also occur with rapid heart rates (called tachyarrhythmias -- faster than 100 beats per minute). In the United States, more than 850,000 people are hospitalized for an arrhythmia each year. Premature ventricular contractions(PVCs). These are among the most common arrhythmias and occur in people with and without heart disease. This is the skipped heartbeat we all occasionally experience. In some people, it can be related to stress, too much caffeine or nicotine, or too much exercise. 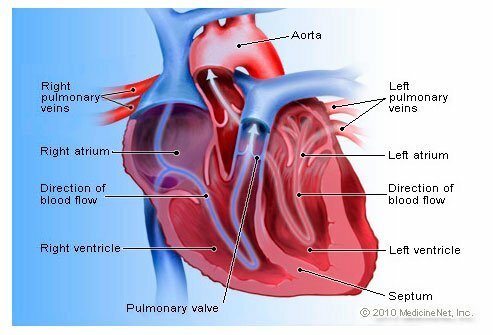 But sometimes, PVCs can be caused by heart disease or electrolyte imbalance. People who have a lot of PVCs, and/or symptoms associated with them, should be evaluated by a heart doctor. However, in most people, PVCs are usually harmless and rarely need treatment. Paroxysmal supraventricular tachycardia (PSVT). A rapid heart rate, usually with a regular rhythm, originating from above the ventricles. PSVT begins and ends suddenly. There are two main types: accessory path tachycardias and AV nodal reentrant tachycardias (see below). Accessory pathway tachycardias. A rapid heart rate due to an extra abnormal pathway or connection between the atria and the ventricles. The impulses travel through the extra pathways as well as through the usual route. This allows the impulses to travel around the heart very quickly, causing the heart to beat unusually fast. angina (chest pain due to reduced blood flow to the heart muscles). An arrhythmia can be silent and not cause any symptoms. A doctor can detect an irregular heartbeat during a physical exam by taking your pulse or through an electrocardiogram (ECG). Palpitations (a feeling of skipped heart beats, fluttering or "flip-flops," or feeling that your heart is "running away"). Weakness or fatigue (feeling very tired). Treatment depends on the type and seriousness of your arrhythmia. Some people with arrhythmias require no treatment. For others, treatments can include medication, making lifestyle changes, and undergoing surgical procedures. What Drugs Are Used to Treat Arrhythmias? Antiarrhythmic drugs. These drugs control heart rate and include beta-blockers. Anticoagulant or antiplatelet therapy. These drugs reduce the risk of blood clots and stroke. These include warfarin (a "blood thinner") or aspirin. Another blood thinner called Pradaxa (dabigatran) was approved in 2010 to prevent stroke in people with atrial fibrillation. Because everyone is different, it may take trials of several medications and doses to find the one that works best for you. If you notice that your arrhythmia occurs more often with certain activities, you should avoid them. During an ablation, high-frequency electrical energy is delivered through a catheter to a small area of tissue inside the heart that causes the abnormal heart rhythm. This energy "disconnects" the pathway of the abnormal rhythm. Ablation is used to treat most PSVTs, atrial flutter, atrial fibrillation, and some atrial and ventricular tachycardias. Ablation may be combined with other procedures to achieve optimal treatment. Heart surgery may be needed to correct heart disease that may be causing the arrhythmia. The Maze procedure is a type of surgery used to correct atrial fibrillation. During this procedure, a series (or "maze") of incisions are made in the right and left atria to confine the electrical impulses to defined pathways. Some people may require a pacemaker after this procedure. For arrhythmia (irregular heartbeat), what were the symptoms and signs you experienced? How was your arrhythmia treated? What causes or triggers your arrhythmia? Hyperkalemia is an abnormally high level of potassium in the blood. Hyperkalemia symptoms include nausea, fatigue, tingling sensations, or muscle weakness.Hyperkalemia may also cause no symptoms. Hyperkalemia treatment may include a low-potassium diet, medications, and intravenous glucose and insulin. Causes of hyperkalemia include kidney dysfunction, medications, adrenal gland diseases, and potassium shifts. What are the benefits of omega 3 fatty acids? Learn how Omega 3 rich foods like fish oil, salmon, walnuts, & more can boost brain power, save your heart, ease depression and create a healthier you.